VASERlipo Body Shaping: Cost, Risks, Recovery, etc. VASERlipo is an ultrasound-assisted liposuction treatment used by many plastic surgeons as a more effective fat-removal procedure. VASER, which stands for Vibration Amplification of Sound Energy at Resonance, is also commonly referred to as VASER Liposelection or High-Definition Liposuction. Ultrasound-assisted liposuction treatments like VASER utilize ultrasonic energy to liquefy fat cells for surgical removal. Ultrasound-based liposuction techniques were first introduced in the 1980s. Dr. William W. Cimino developed the VASERlipo system in the late 90s. It has since become one of the most popular ultrasound-assisted liposuction procedures available. VASERlipo candidacy is similar to other liposuction procedures. It is not to be considered as a weight loss treatment. Rather, it is intended to remove fatty deposits from specific areas of the body, such as the hips, back, breasts and torso. Unlike some other liposuction alternatives, VASER is not typically recommended for facial procedures. If you are considering VASERlipo or any other type of liposuction procedure, you should schedule a consultation with a board-certified plastic surgeon to fully evaluate candidacy. VASERlipo is an outpatient surgical procedure that can be performed under local or general anesthesia. The treatment area is first filled with a specialized saline solution that is designed to help minimize bruising associated with VASER. The solution shrinks blood vessels, which in turn minimizes blood loss. Once this tumescent solution has been applied, small incisions are made and a probe inserted. Ultrasonic energy is transmitted via the probe to the target area, breaking down fat cells that are then suctioned from the body. Once completed, the probe is removed and the incisions closed. The amount of time required to complete VASERlipo varies depending on the treatment location and the amount of fat being removed. In extreme cases, the surgery may take as long as five or six hours. However, typical VASER procedures require significantly less time. Patients are able to return home almost immediately after the procedure is completed. The relatively invasive nature of VASER translates to a longer recovery period than other liposuction alternatives. Patients may require seven days or more before returning to normal activities. Bleeding, bruising, scarring or swelling may result from treatment, though side effects are rare and typically subside in the short term. Any lingering effects should be discussed with your surgeon during a follow up appointment. VASER patients often see results almost immediately after the procedure is completed, though full results should not be expected for several months. Recovery can be relatively slow. It is important to adhere to your surgeon’s recommendations in order to achieve optimal results and prevent any side effects. 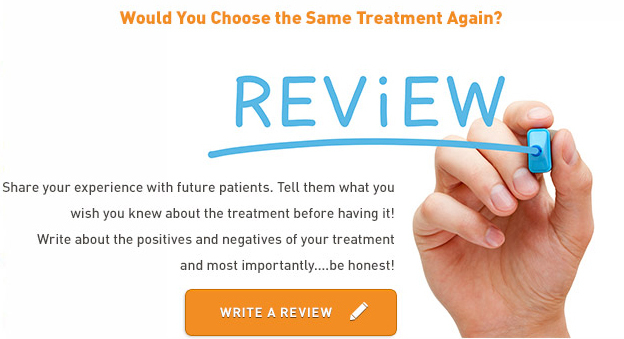 Your surgeon will help you gauge your expectations during your initial consultation. Based on the amount of fat being removed and the number of treatment areas, he or she will be able to give you an idea of what to expect. You may be able to view before and after photos from past patients who have undergone similar treatments to help you see the potential results. Liposuction is an elective cosmetic procedure, meaning that it does not fall under health insurance coverage. The cost of VASERlipo is similar to that of traditional liposuction, though the addition of ultrasound treatment adds to this cost. On average, a single treatment of VASER may cost between $2,500 and $3,500. However, this cost can fluctuate significantly depending on the surgeon performing the procedure, the location in which it’s performed, and the amount of fat being removed. Similarly, a patient may elect to have treatment in multiple areas. This will increase the cost of treatment substantially. Speak with your surgeon during your initial consultation to get a better idea of your unique VASERlipo cost range. You may also discuss liposuction alternatives at this time.